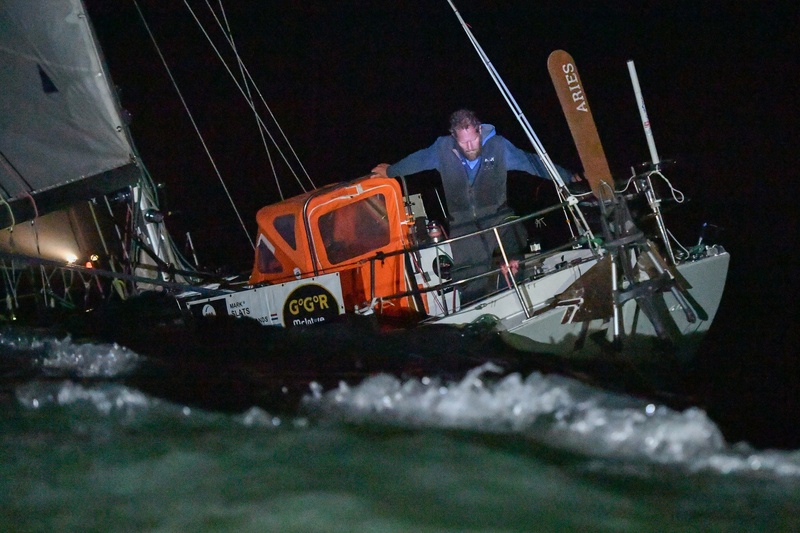 41-year old Dutch sailor Mark Slats and his Rustler 36 Ophen Maverick took second place overall in the 2018 Golden Globe Race last night. Slats, a record breaking Atlantic rower, was challenging for the lead from the start, but a tactical decision to follow the traditional clipper ship route on a wide sweep round the western side of the South Atlantic, left him at a 900 mile disadvantage to his French rival by the time he had reached the Cape of Good Hope. Photos Christophe Favreau/GGR/PPL More here.